Meet Lauren Riihimaki, influencer and YouTuber best known for her DIY videos, often consisting of colourful crafts and challenges that involve creating or upgrading items of clothing or homewares with limited or minimal crafting tools. Since the launch of her channel in 2012, Lauren has grown a community consisting of 20 million followers across multiple platforms. Creating content for the Pinterest-loving generation, Lauren has been heralded as the “Queen of DIY”, appealing to the crafter in all of us. Striking up deals with some of North America's biggest retailers including Walmart Canada, Target, Amazon, and Canadian fashion brand, Ardene, Lauren is building an empire that goes far beyond digital content. The future of the LaurDIY brand? Licensing. 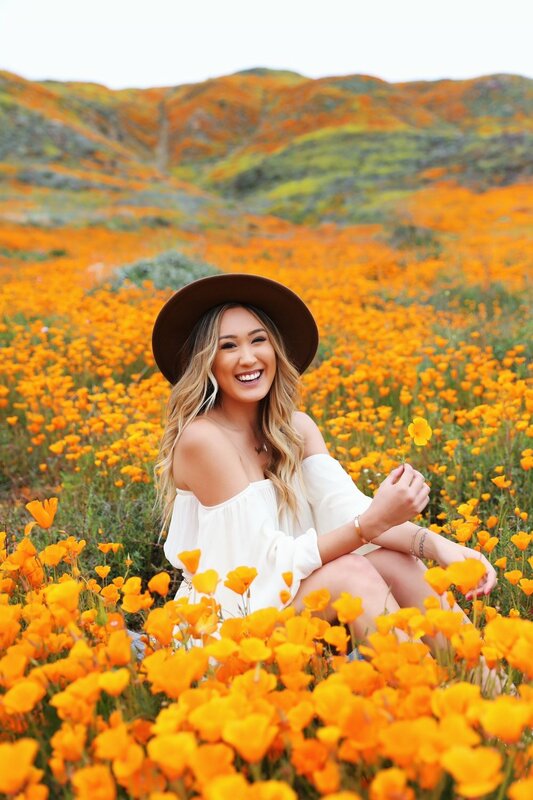 From crafting kits and tools that bear the LaurDIY name, to stationery and school supplies, adhesive gemstones to Coachella-fy your face and hair, shirts, hoodies, and even cozy onesies for adults and children alike. While growing her empire, Lauren maintains a consistent upload schedule, posting videos twice weekly, while also creating content for her almost 5 million Instagram followers. The Toronto native, having moved to Los Angeles some four years ago, admits that the landscape for content creators and influencers in Canada was less fruitful, and that ultimately moving to the US opened her up to more opportunities. I chatted with Lauren about everything from moving to LA, to evolving as a content creator, and the future of YouTube. When I was prepping for this interview, I had to do a little bit of stalking and go back and look at some of those old videos... do you remember the first video you made that got a lot of views? DID YOU ALWAYS KNOW THAT YOU WANTED TO DO DIY [VIDEOS]? A lot of THE YouTubers who have been making videos for as long as you have have fallen off and become less relevant with time, but it seems that you've only grown over the years. How do you maintain that? DO YOU HAVE A STRATEGY FOR THAT OR IS IT JUST ORGANIC, AND WHAT YOUR AUDIENCE WANTS TO SEE? AND LEARNING HOW TO MAKE CONTENT FOR BRANDS AND HOW TO WORK WITH BRANDS… HOW DID YOU MANAGE THAT? WHEN DID YOU LEAVE TORONTO? Was it hard to do things from canada? Did you have any trouble trying to integrate your life and move countries? You put out a lot of videos. what does your schedule look like in terms of content creation? AND WHEN YOU FILM, DO YOU FILM IN BATCHES? Where do you see the future of youtube going? THE LANDSCAPE HAS CHANGED SO MUCH. IN TERMS OF MONETIZATION… SEEING THE MOVEMENT TOWARDS PAYED CONTENT AND SUBSCRIPTIONS. IS THAT SOMETHING THAT YOU’VE DABBLED IN? WHAT ADVICE WOULD YOU GIVE TO YOUNG WOMEN LOOKING TO START THEIR OWN CHANNELs or get into instagram? WHO ARE SOME YOUTUBERS THAT YOU ALWAYS WATCH? I'm sure that 6 years ago, you never would have imagined being where you are now... Looking forward another 6 years. What are your big goals and dreams?